This is WaterWay's leading custom made - hand crafted monofin. The Glide monofin is one of the most advanced monofins in the world. 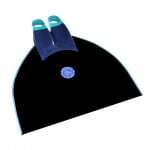 Great for depth, pool and competitive freediving. This is WaterWay's leading custom made - hand crafted monofin. 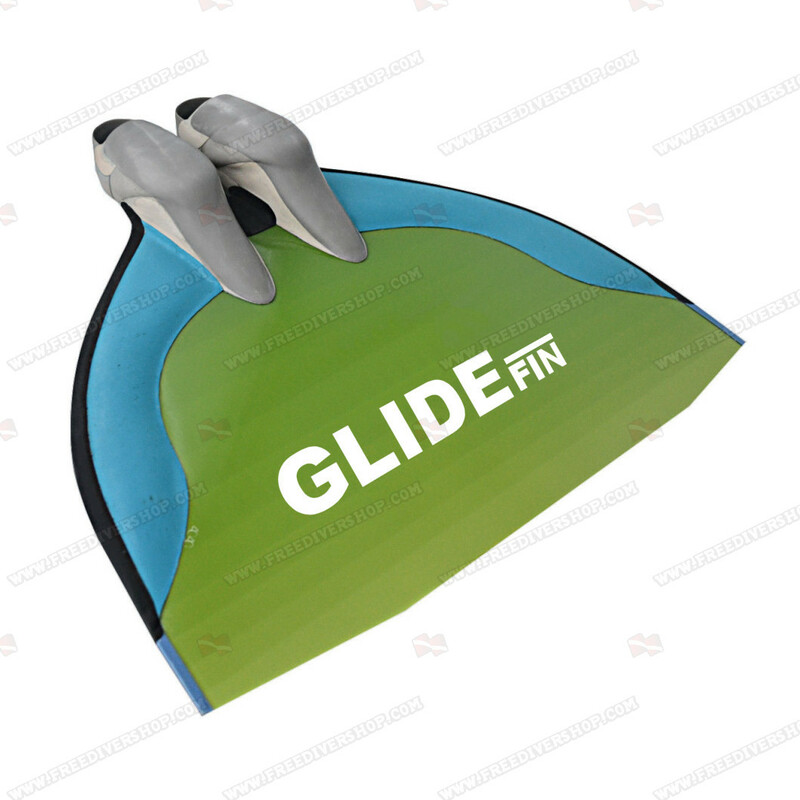 The Glide monofin is one of the most advanced monofins in the world. 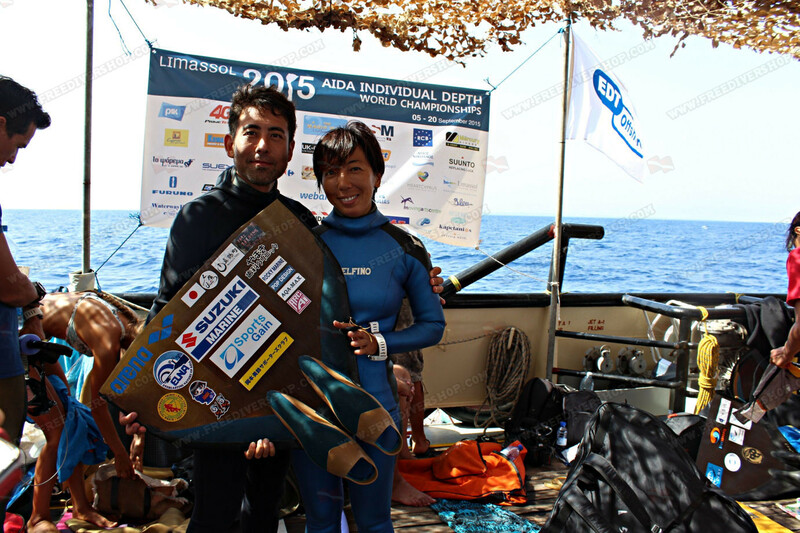 Great for depth, pool and competitive freediving. Featuring revolutionary cast rubber foot pockets that enable optimal grip of the freedivers feet and the best possible energy transfer. 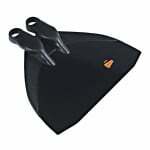 The monofin's blade is covered with a dense neoprene wing, which helps complete the athlete's motion underwater and enables passing a maximal distance with minimal effort. 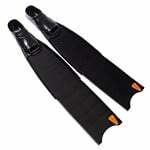 As all WaterWay fin blades the blade is hand polished to ensure optimal streamline performance underwater. What's the difference between Classic and Ultra-Light Footpockets? 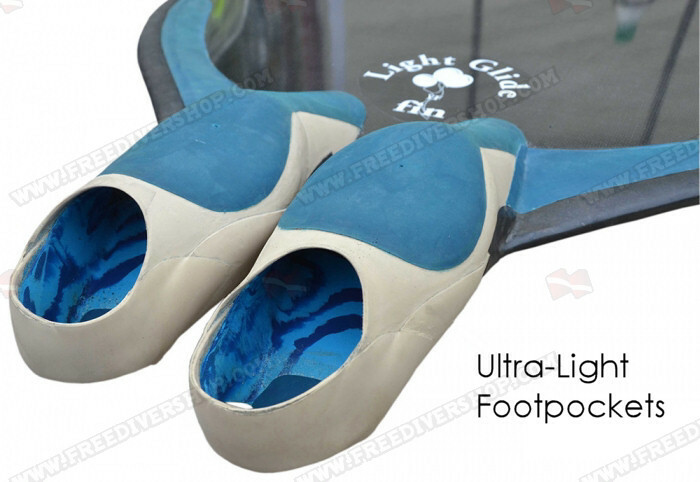 The soft Ultra-Light foot pockets allow using the Glide monofin comfortably for longer periods and are a great choice for recreational freediving and training. 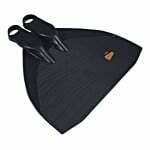 Having used a Finis Wave for a few years, moving up to the Waterway Glide has been a neat experience. 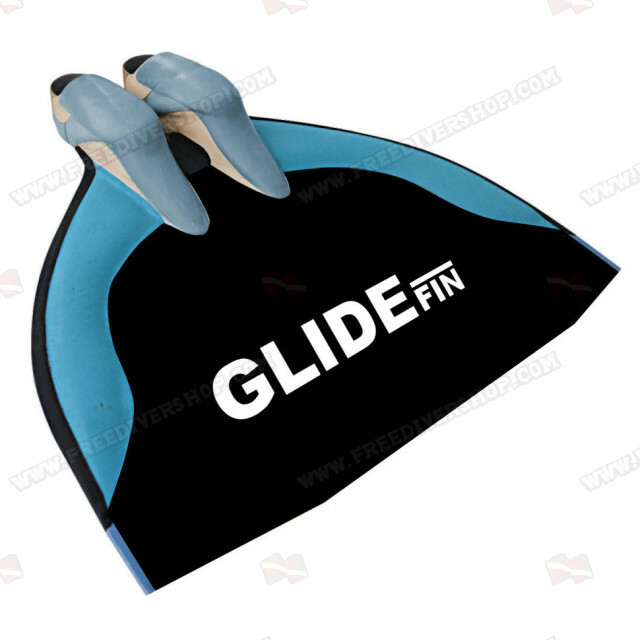 The fin will ask you to no longer "kick" through the water, but to "flex" through it. I've found the best way to enjoy this fin is to adjust technique so that the tops of your feet are not stressed on the downstroke. I learned how to make this change by pushing upstream against the current in shallow water. 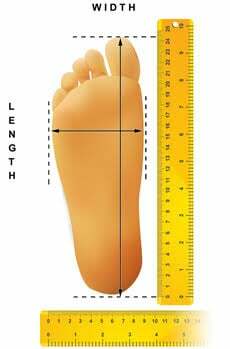 Less than 3 feet seems the most beneficial. The technique involves allowing the ankle to flex sharply on the upstroke, as if walking. The fin responds very nicely to a strong upstroke, as if it's meant to be used that way. Then there is some concentration to keep the legs aligned with the fin on the downstroke, while pulling it at the hips, and counterbalancing the lead with the chest. While the fin has a large surface area that needs practice to maneuver, it has no drag when at rest or while prone. 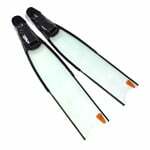 That 20 or 30 degree angle between the foot and fin is my favorite thing about the Waterway Glide. That angle and reasonably comfy space formed by the footpocket is the reason I bought the Waterway Glide. I ordered the comfort footpockets and believe the comfort level experienced depends on making sure the technique doesn't stress the tops of the feet/ankle in the first place. Now my speed is only limited by frontal drag and metabolic rate. The best speed happens underwater - particularly in shallow water - because the streambed close below discourages sloppy form. While I am careful with the fin, the fiberglass scratches easily but superficially, and doesn't appear to be damaging. Expect the fin to continuously add to its pattern of white scratches if used in a rugged setting. I think many of the scratches were from the beginning, when I was just starting to learn how to use the fin and was clumsy with maneuvering it. Aquatic fitness gloves help a lot with turning in the monofin. Unlike the Finis Wave, the Waterway Glide doesn't want to break the surface. In a Finis Wave, you can get away with kicking only the lower body and keeping your head up clear of the surface. 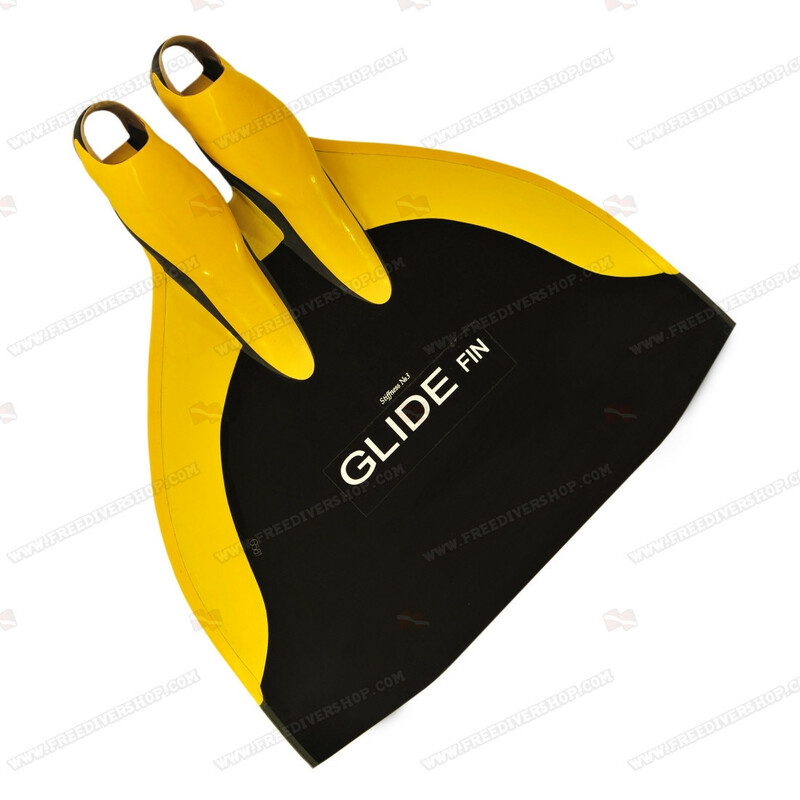 The Waterway Glide seems to prefer more flexion of the upper body even for surface swimming which results in your head being low to the surface. Expect to wear goggles during surface swims (it's probably more streamlined anyway). 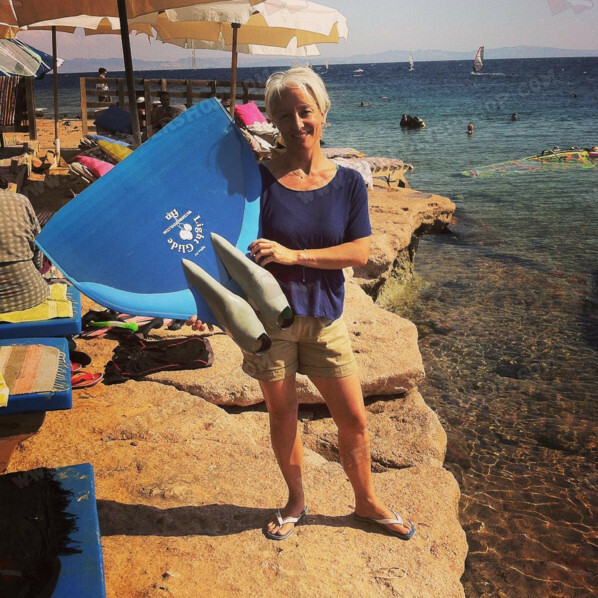 Between active swimming and leisurely gliding about, I can enjoy over an hour of being in the water with this fin. When I'm done, it's not because of the fin's design. Being in a 7mm wetsuit with hand flippers and the Waterway Glide makes me feel utterly at home in the water. it requires a good technique, but that's good, it grows, it's going fast. very good quality and careful finishing. ca demande une bonne technique, mais que c'est bon, ca pousse, ca vas vite . très bonne qualité et finition soigneuse. The back rubber (heel / Ultra-Light Footpockets) was very soft and weak. I went to a monofin technician and changed the back rubber and put a thicker and harder. I ususaly do not write reviews but here I have to say those guys are doing a great job. The delivery was fast. the quality of the product is very good (I just brok my PB with it..). 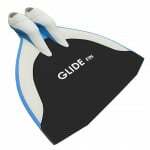 They're Called GLIDE For a Reason! Very happy with the fit, finish, and performance of my Light Glide. Even with the ultra light footpockets the fit is very tight and I cannot wear them longer than about 20 minutes. BUT, that's about the same amount of time I can wear my Molchanovs Mono as well. I am a 53 year old man who's had back surgery, and I LOVE the Light Glide for long pool workouts, mindfully concentrating on my form and technique. During a 1.5 hour workout I can wear this fine 3+ times for 20 min at a time with no problems. Two minor issues I have: The fin took almost three months to get to me. And I don't recommend the "yellow" blade color option at all. I picked blue pockets with yellow blade and the blade is a sort of milky tan color. I should have picked yellow pockets with the black blade. Except for those two things I would give it 5 stars. 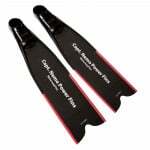 Fantastic smooth glide and a lot more comfortable than all other monofins I've used. Order was delivered to Norway in less than a month, carefully packaged and trackable from the beginning. Highly recommended! Really great product, the customization process was very straightforward and the staff are very helpful in communicating. 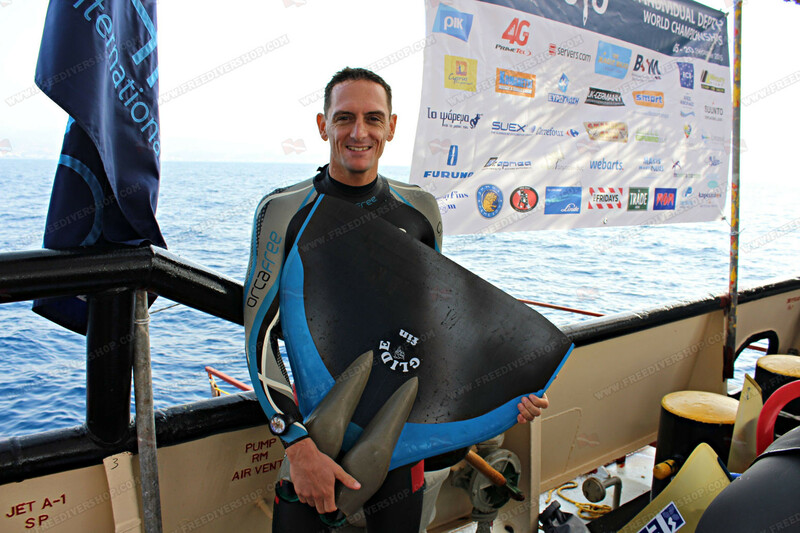 Fin feels fantastic in the water, very secure and balanced weight, going to add some decent meters on my pb. I was to told that it might take up to 60 days to dispatch a Waterways Monofin because they are made to order. In fact, it took far less. Free diver shop kept me updated with the order status and sent a tracking number which was very reassuring. The Waterways Glide Fin is fantastic. I bought the comfort model and I find it quite a tight fit but that is exactly what is needed for efficient transmission of power from the feet to the fin. It feels very natural to swim with it and It has extended my distances and depths as well as helping me to tone up my abdomen. 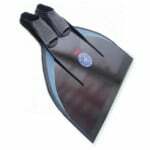 I recommend this fin to anyone who wants a good monofin and I also recommend the Freediver shop for their excellent and reliable service.